The new law prevents Right to Work ordinances from confiscating employee resources at the city and county level. Starting immediately, workers in Illinois will no longer have their property and labor taken away from them under city-level Right to Work laws. The legislation, signed this week by Illinois Gov. 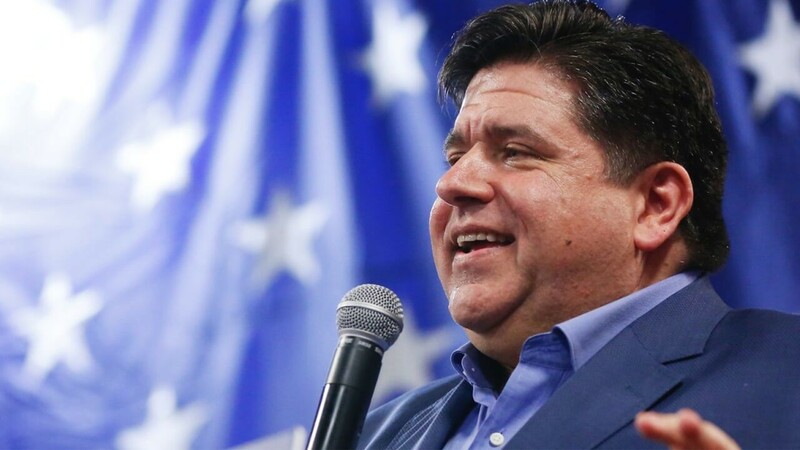 J.B. Pritzker, will prevent city and county officials from creating a patchwork of separate Right to Work zones across the state. Around the nation, corporate lobbyists have used Right to Work legislation to eliminate pensions and slash wages for employees. Last year, the Supreme Court added another twist to Right to Work – forcing employee groups to turn over their property and work for anti-union forces on demand. “That’s what Right to Work does. It’s an attempt to bankrupt unions by forcing them to give their work away for free. Right to Work advocates want to work at union workplaces, and collect union wages. They also want costly contract negotiations and enforcement, but they don’t want to help pay for any of it,” said Roderick. Supporters of Right to Work argue that employees would make more money overall if they were free to earn smaller paychecks and not get a pension when they retire. Since unions stand in the way of those things, Right to Work advocates seek to defund them. Former Illinois Governor Bruce Rauner, who collected large campaign donations from anti-union lobbyists, has pointed to a recent Seattle wage study that he claims proves that lower wage earners make more money than those with higher rates of pay. In Illinois, the township of Lincolnshire had passed a Right to Work ordinance in 2015 hoping to bankrupt unions within its borders. Local unions filed a successful lawsuit to stop the measure from going into effect, which was upheld after the city appealed the ruling. The courts found that only the state government has the legal authority to enact such laws, and the International Union of Operating Engineers Local 150, the union that filed the lawsuit, was awarded $10,000 in damages. It’s unclear how much money Right to Work lobbyists lost in this failed attempt to create city and county Right to Work zones in Illinois. The rules were vigorously promoted by former Governor Bruce Rauner, and by a range of corporate lobbyists and courts that have encouraged them. The IAM141 Machinists Non-Partisan League works to protect the pensions, pay and rights of airline workers within city, state and national governments. The IAM141 MNPL is funded entirely through voluntary donations from members like you. To become a supporting member of the IAM141 MNPL, please complete an MNPL Automatic Payroll Deduction Card for any amount today. Find a card by visiting the MNPL page at IAM141.org.